One of the activities part of a revamp of an education program at the Royal Tyrrell Museum of Palaeontology. At the Royal Tyrrell Museum of Palaeontology we were working on upgrading the Ancient Alberta Rocks program that the education department would deliver to student groups/schools that would come to partake in educational programs. 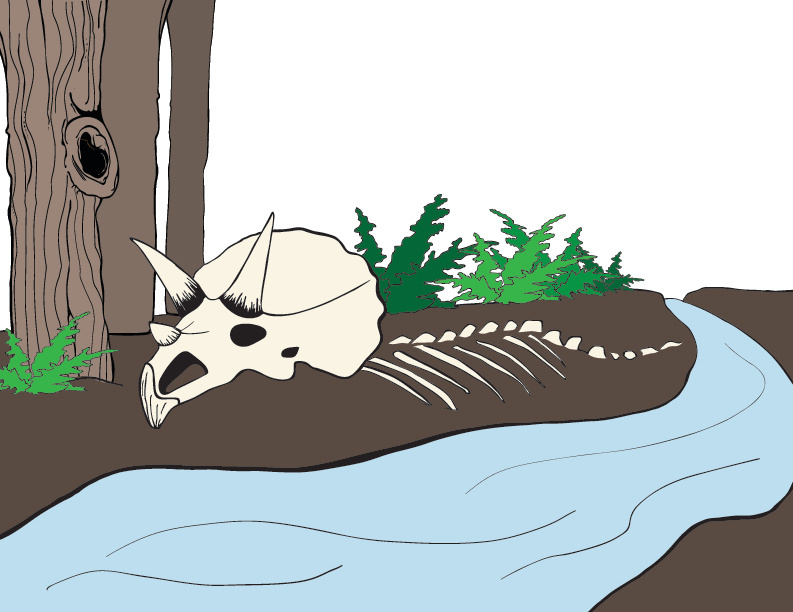 One of the tasks included illustrating the process of before, during, and after the ice ages. How the dinosaurs were alive beforehand and how the ice ages carved the valley Drumheller is in today. The objective of this activity is for the kids to put them in chronological order from what happened first to what happened last.